Zoomer Zupps have recently released a new series of toys. If you haven't heard of these before I'll tell you a little bit more about them. Originally they were released as pups, they are interactive toys that are made to respond to your child's touch. The latest animals to step into the Zoomer world are pretty ponies. What are Zoomer Zupps Pretty Ponies? 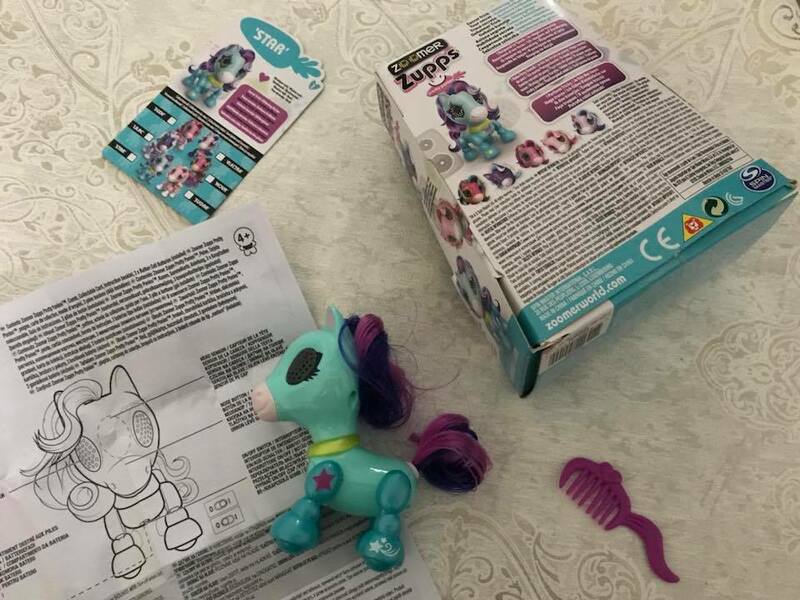 Each of the ponies come with a collectors card and a bonus comb and the idea is that the more you play with them, the happier they will be. Kids can play by petting their heads where there is a hidden sensor or by pressing down on their nose. The pony will then respond with pony like neighing and with their eyes lighting up as well. There are six ponies in total to collect: Dixie, Electra, Lilac, Nova, Star and Sugar. Every pony has their very own unique trick which can be found by petting their head/pressing their nose in a certain sequence. My girls have already informed me that they would indeed like the chance to collect them all. How to play with your pretty pony? 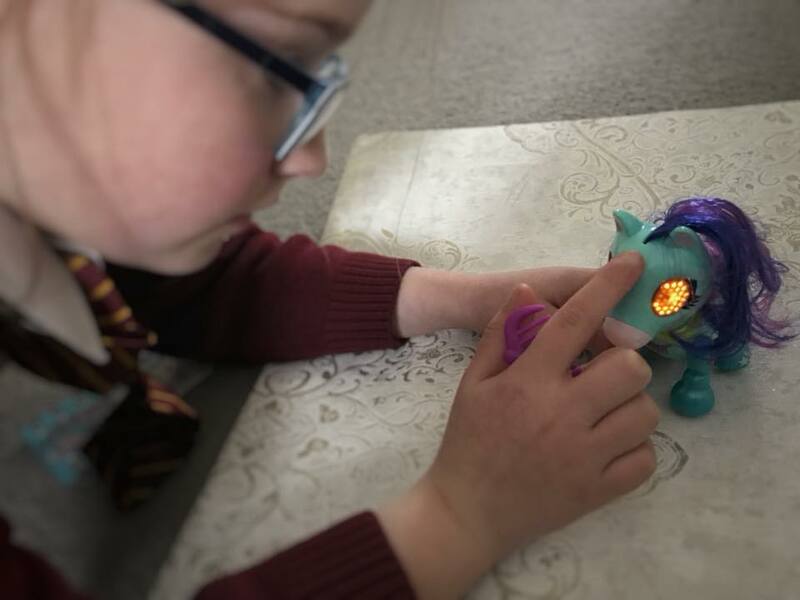 I said earlier that to play your child has to literally interact with their pony, stroking their head and/or pressing their nose. We were sent 'Star'. 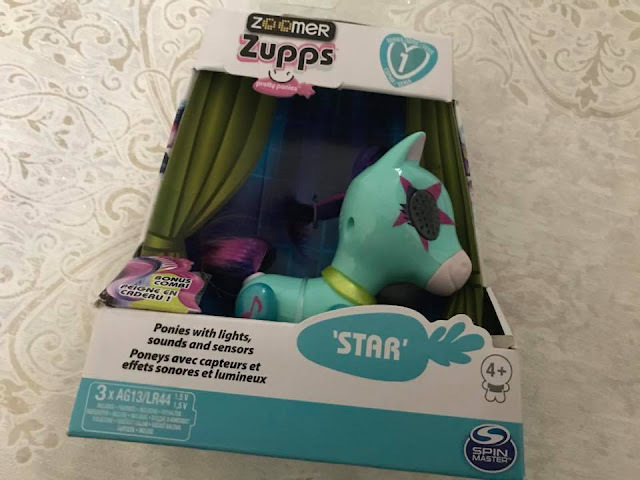 With a star printed around her eye and a music note on her leg, I don't think it's a big surprise that these ponies all have a unique musical style, Star's music choice is rock and her secret trick is called glittering guitar. My youngest two daughters were immediately obsessed with their pony. It definitely has the cute factor and they were more than happy sitting there combing her mane and tail. Responding the touch, there is even a game that you can play as you pretend that your pony is galloping in a race, there was a lot of excitement as the music chimed when they won. From a parent point of view the sounds did get a little annoying as they are very repetitive (but there is an on/off switch) and it wasn't the easiest trying to get the secret trick to work, for something so simple written on the instructions it actually turned into quite a trying task but these things didn't bother my kids and I guess when it comes to toys the parent opinion doesn't trump the child's. Should you buy Zoomer Zupps Pretty Ponies? Priced between £10-15, these toys might not be the biggest but they certainly offer hours of entertain. They might not move around on their own like the bigger Zoomer animals but I don't see that as a bad thing as the children will actually have a better chance of interacting and using their imaginations with the ponies. 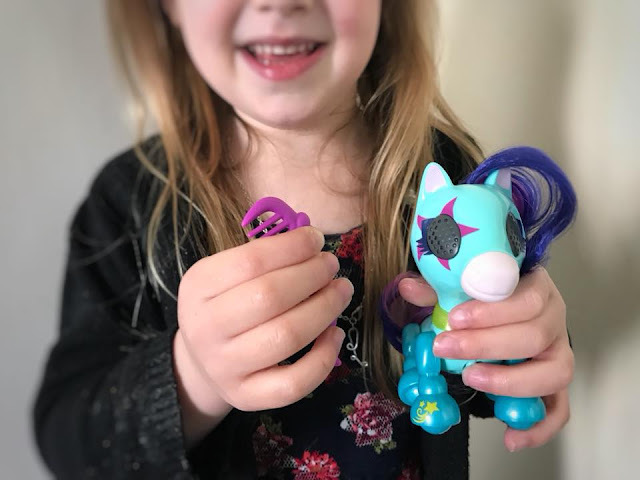 Their size makes them perfect for carrying around or popping into a handbag so play never needs to stop and with six to collect there are plenty of songs, games and tricks to be discovered. Which pocket size pet will you make friends with first?